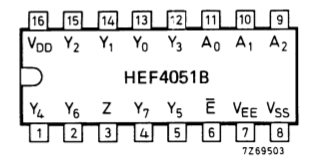 If you use the 4051 as a Multiplexer: You can choose between 8 different inputs and select just one you want to read at the time. If you use the 4051 as a Demultiplexer you can choose between 8 different outputs and select just one you want to write at the time. 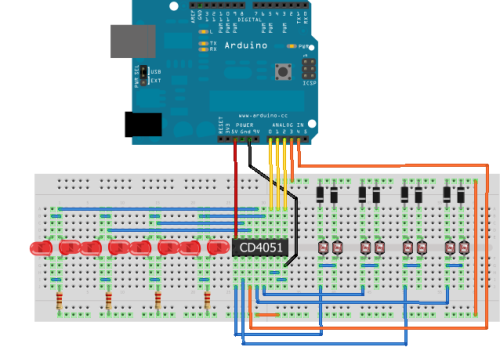 Futhermore, the 4051 is able to work with analog values; in the case of the Arduino, you are able to use the analog inputs with a voltage between 0-5V and route them to an Analog-In Pin on your Arduino. If S0 and S1 are HIGH and S2 is LOW pin y3 is selected (1+2+0 = 3). 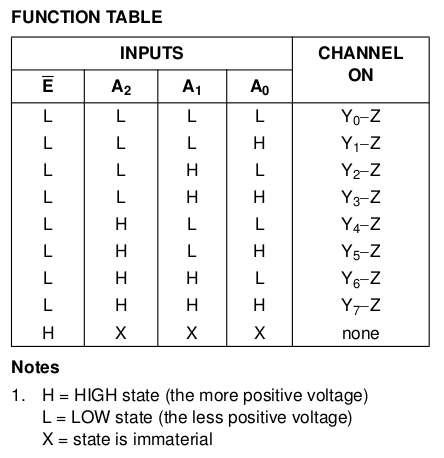 If S0 and S2 is HIGH and S1 LOW pin y5 is selected (1+0+4 = 5). 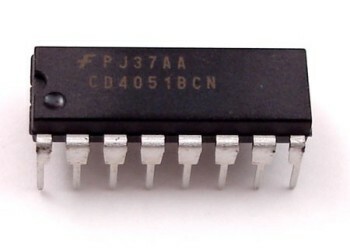 It is not possible to read or write more than one pin on the 4051 at the same time, because you can only select one pin at a time. But you can read and write to the pins quite fast. There is no delay needed between selecting and read or writing the pin. Remember that you have to connect the E pin to ground, to enable the circuit. 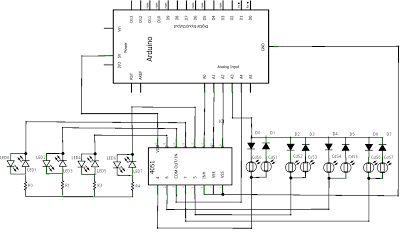 Here we are using LDRs, but you can use potentiometers or resistors. Cover the LDR and the corresponding LED will turn on.